Grab a coffee and clear your schedule…because you’re about to learn about a life-changing SEO strategy that can increase your rank on Google. It’s called Cornerstone content and it’s totally worth learning about. In this article we are going to discuss what it is and how you can create cornerstone content for your website so you can get displayed in search results more frequently. The idea behind this article is to help you position your website as a resource and an expert in whatever it is you’re selling online so Google can show you more in search results. What is corner Stone content? Cornerstone content is essentially a page on your website dedicated to ranking for a highly competitive keyword. Cornerstone content is kind of like an “About Us” page except it tries to rank for a specific topic related to what you’re selling. Basically you’ll want a focus keyphrase (like “Victorian jewelry,” “Baby Toys,” or “Dog Beds” …whatever it is you are mainly selling) as one of the clickable pages on your navigation bars. This webpage would be focused on the main thing you are trying to sell and it would contain a lot of highly valuable content. This page would include a long description about why you’re an industry expert, why people should buy from you, why your products are the best, and what kind of products you sell. Lastly, it’s a good idea to include photos and videos that are related to this topic. By creating a page that is helpful for others, you can become a resource which is one of the best thing you can do in the eyes of Google. Quick tip: Do a quick scan of your current navigation bar on your homepage and write down what you see… are these terms you want to rank for? Jane has done some keyword research, and she’s confirmed this term has a high search volume and there is opportunity for her to rank. Jane knows it won’t be easy, but she is willing to try and rank for this term through a lot of hard work and dedication. 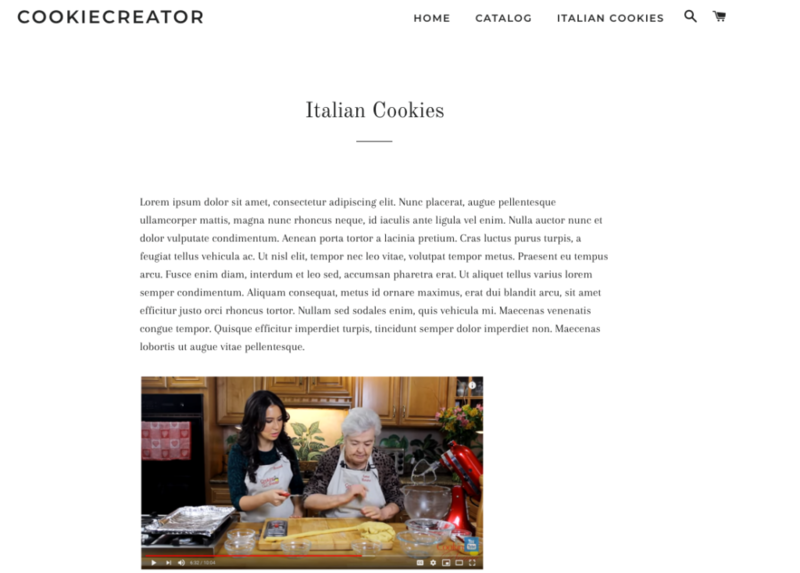 She creates a new page on her site titled “Italian cookies. and adds it to the main menu (on the navigation bar). Next, she writes a ton of information about why her company makes the best Italian cookies and why her shop is the best place to buy this product. Her description is one thousand words long full of history, background information on the owner. She even includes a video all about her Italian cookies and how they are made as well as really nice photos showing behind the scenes of and baking and wrapping them. Most importantly, in her written text she makes sure to include the keyword “Italian cookies” at least 2x, but no more than 3x. 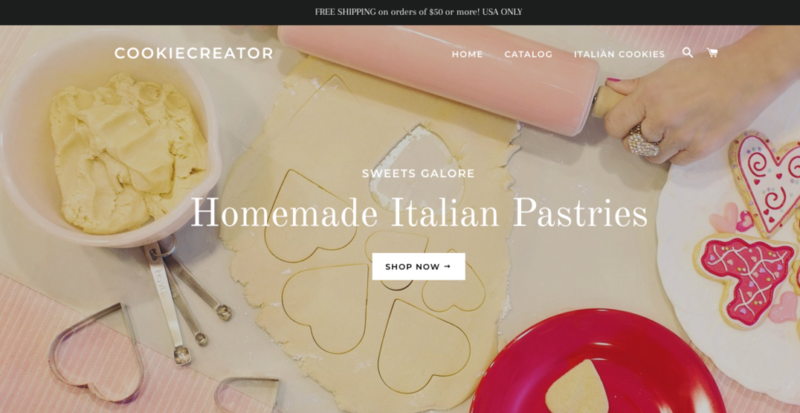 She also includes links to her Italian cookies products so that customers can click on these and be sent to purchase one of her famous Italian cookies! 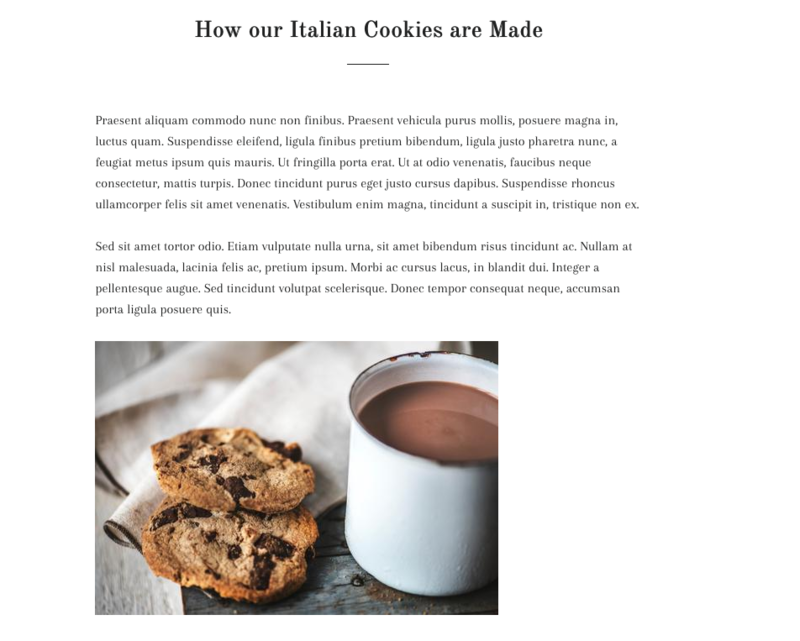 Jane has fully optimized this page to explain everything a person would possibly want to know about Italian cookies. Now Jane feels confident that if someone where to type in “Italian cookies ” on Google search bar, this page could be helpful for people searching to buy Italian cookies online. How does cornerstone content help me rank higher? Cornerstone content signals to Google that this is the term you want to rank for. By having this keyword phrase in your navigation bar, and as a very important page on your website full of high quality content… you put yourself in a position to be selected by Google as a top resource. If Google decides that your cornerstone content page is full of quality content that might be helpful for someone, they can choose to show this page in search results. If Google shows your page is search results, this means that you are ranking for this term. 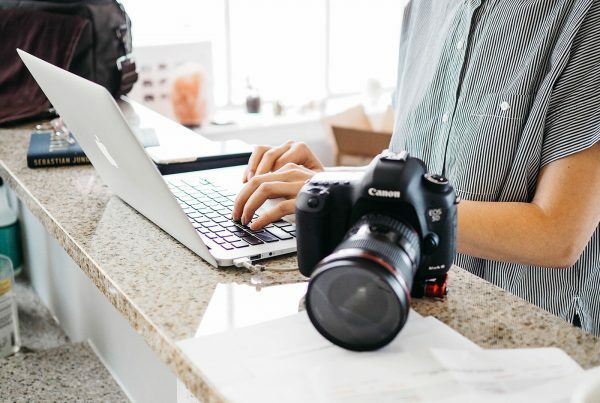 This doesn’t happen over night and it’s not a magic pill, but creating cornerstone content can have a major positive impact on your site’s overall SEO ranking. If you had to describe what your shop is selling in 2-3 words, what would you say? Are you selling engagement rings, personalized jewelry, dog beds, or silly t-shirts? These are all great terms to try and rank for because they are highly competitive and to the point. They are short and sweet. They describe what a shop is selling and trying to rank for. Another reason you want to keep it short is because it will featured on your navigation bar. It should be specific enough that people know what it is you’re selling. I highly advise against trying to rank for keywords that are 1 word in length. An example is: “t-shirts,” “necklaces” or “shoes” because these are nearly impossible to rank for. Typically, only giant companies like Nike, Amazon, and Walmart can rank for these terms. Should I research my keyword? Researching your keyword will help you find the “right” keyword that has a high amount of search volume. More traffic to the keyword = more potential traffic to your site. You want to make sure the keyword you are trying to rank for is something people are actually searching for. If people aren’t Googling it, then it’s really a waste of time to try and rank for a term that no one is looking for. 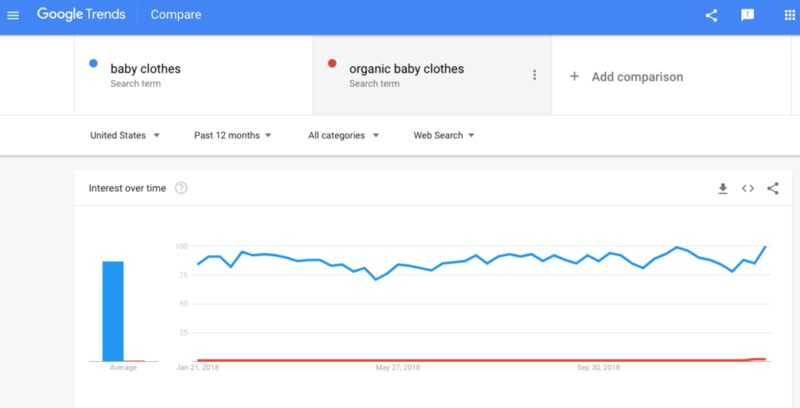 To discover if a keyword has a decent amount of search volume (1000+ searches per month), you can use the free tool Google Trends. To investigate whether or not a keyword is low, medium or high competition you can either use Moz Keyword Explorer (free and paid versions available) or pop it into Google Adwords. For cornerstone content, it’s okay to go after highly competitive terms that have a good opportunity or potential. It’s also perfectly fine if your keyword has a high search volume and low competition… this just means you found a gem! ? Just be realistic, patient, and take a deep breath. 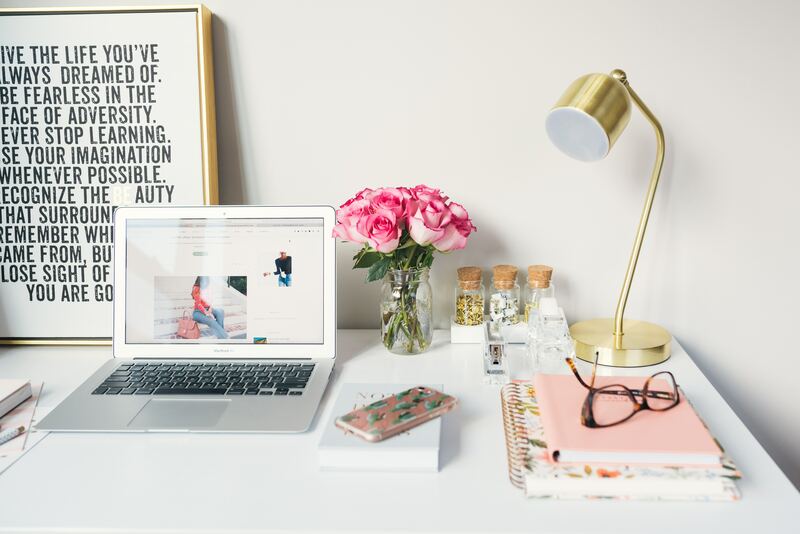 It’s going to take some time to see some results but it’s totally worth the effort because this can really end up boosting your traffic! NOTE: Only one photo’s filename should contain your keyword. The rest of your photos filenames can be named with similar terms. The reason you don’t want to repeat your keyword too many times is this can look like keyword spamming to Google which can actually hurt your SEO. Remember, this is a living page that needs some love! Make sure to check back regularly to add any necessary updates to keep this page looking fresh. If you have a store that sells a lot of the same thing (but just in different shapes, styles, size, and colors)… this advice is for you. 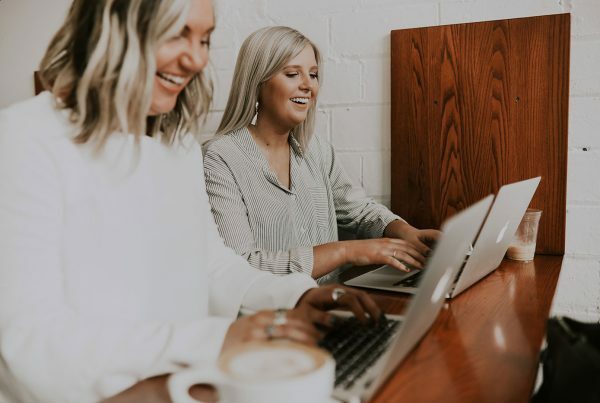 If you are in a small niche, then you’ve probably experienced the issue of coming up with a lot of different keywords for all of your products. If all of your products are so similar, this makes the challenge even more difficult. However taking the time to optimize each of your products with a unique keyword is always a great idea! Your goal is to tell Google, “Hey, I want to rank for this niche industry!” So how do you that? One thing you could do is create a cornerstone content page that targets a highly competitive keyword you want to rank for. Let’s suppose for this example it’s “Victorian rings.” I would create my page all about “Victorian rings” and then I would link out to my many different Victorian ring products. Linking to a bunch of your relevant products will help Google understand that you are a resource when it comes to this topic. You want to prove to Google you’re an industry expert and this is the best way to do that. This has the added bonus of circulating customers around your site by encouraging them to click on products. NOTE: You can decide to make your collection page your cornerstone content page, it’s entirely up to you! Every store is different so what makes sense for you may not make sense for the next merchant. I hope this article has given you a better idea of what cornerstone content is and how you can create one for your site. 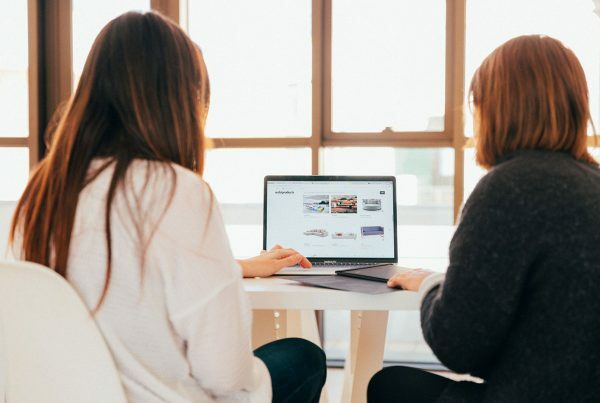 A cornerstone content page can help search engines understand what you’re selling, but it can also help your customers understand what you are selling as well. Great news! We actually have a new feature coming soon to our Get Clicked SEO app. Our top rated Shopify SEO app will soon be featuring an optimization check for cornerstone pages. Stay tuned!